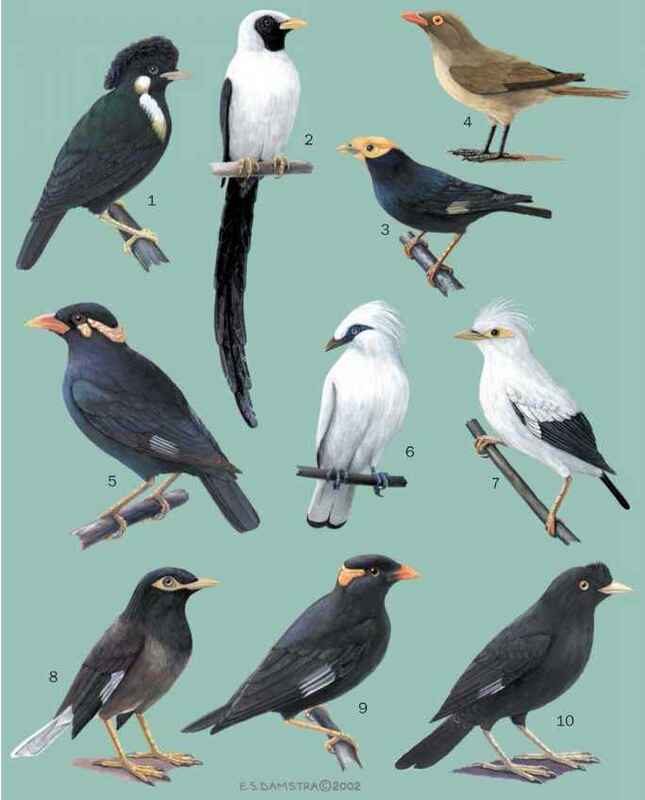 English: Red munia, avadavat, strawberry finch, tiger finch; French: Bengali rouge; German: Tigerfink; Spanish: Bengali Rojo. bill. Males are unique among estrildids due to their non-breeding or eclipse plumage with which they look more like the females. Eastern Pakistan through India into Burma and south-central China with populations in southern Thailand, Cambodia and Vietnam and on Java. Introduced populations in Japan, Hawaii, Fiji, the Philippines, Malaysia, Sumatra, Saudi Arabia, and Puerto Rico. Occurs in grassy areas including marsh, cane fields, jungle clearings, open woodland, reed beds, edges of cultivated or inhabited areas, and gardens. In pairs or small flocks except in winter when flocks may reach 100 or more birds. The call, given when perched or in flight, is a "tee" or "tsi" but can be quite variable. The song is a weak, but melodious warble. Females also give a shorter version of the song, although they utter it less frequently than do males. Feeds in vegetation and on the ground on a variety of grass seeds. Observations of captive birds suggest that a small quantity of insects is also consumed. Nests are placed on or near the ground and are composed of grass blades and stems as well as other plant matter. A nest is lined with soft materials such as feathers, vegetable down, and fine grass. Four to six white eggs are incubated for 11-12 days.